Thank you to Briana with Giraffe Childcare for sharing this article with us! Christmas is really all about the kids. Single folks and married couples without children may enjoy a quiet drink around the tree and a couple of gifts exchanged, but if you don’t have kids, you’re not really experiencing the joy of Christmas. Seeing their eyes light up around the holiday season is one of the greatest joys life has to offer parents, aunts, uncles and even the occasional babysitter. 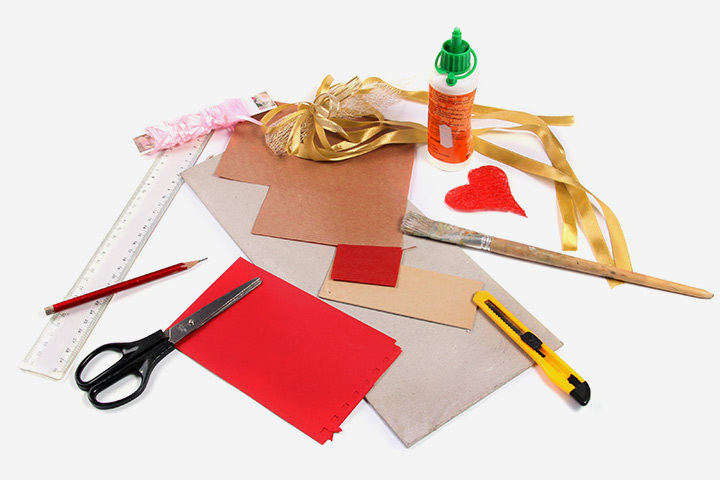 These five crafts will be sure to please any child from those just starting their preschool education to kids who are getting a little too old to believe in Santa. Even if your kids are too little to help out with the baking, they can still help out and have fun doing it. Have them help you pick out cookie cutters and icing. They can help you to cut the cookies and decorate them after they’ve baked. This gives kids a real sense of accomplishment. Christmas ornaments are a big part of most family traditions. 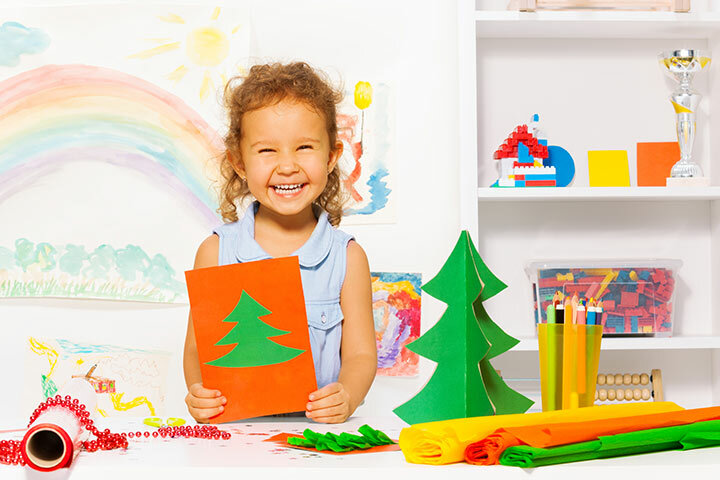 Pick out some safety scissors, construction paper, glue, sequins and whatever else you can think of and have fun with the kids creating your own snowmen, reindeer and other yuletide decorations for the tree. A brown paper bag can become a reindeer very quickly. All it takes is a black (or red) pom pom for the nose, a couple of googly eyes and some construction paper antlers. The brown color lends very nicely to our favorite holiday hoofers, and kids can be creative and come up with their own reindeer characters. If you’ve never seen a handprint wreath before, they are amazingly easy to make. You simply take some green construction paper, trace your hand, and clip it out. Take six to a dozen of these and glue them in a ring, and you can decorate with bows from the gift wrapping box, silver bells from the craft store or hand written messages of Christmas cheer. Here’s a fun one: Go outside and pick out a few nice looking pine cones (try and find some without too much sap on them) and they can double as miniature Christmas trees. 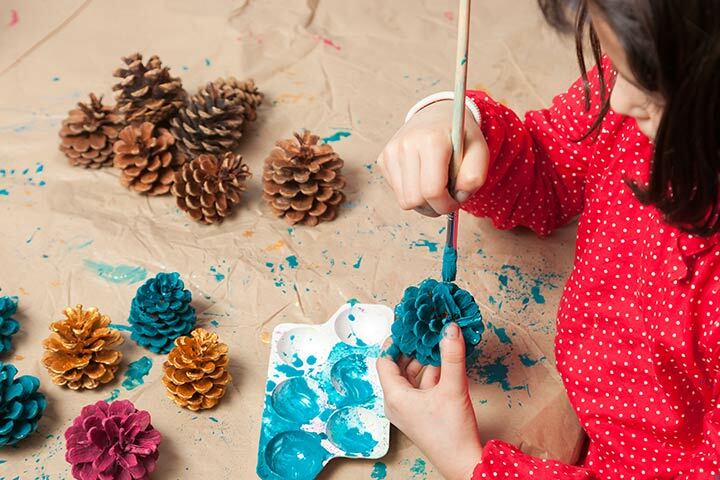 This allows your kids to have fun decorating them however they like. 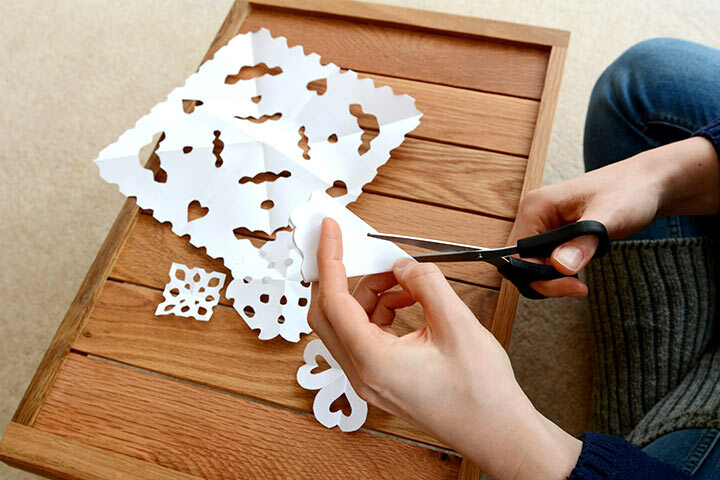 You can use cotton balls for snow on the bottom, add a little tinsel from your full sized tree’s decoration box and glue pom poms and little red bows for ornaments. 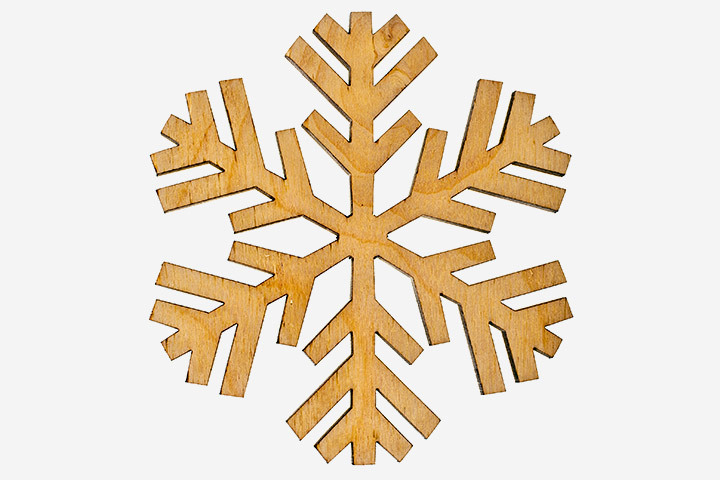 This is fun as a basic activity or can double as a tree ornament on the real deal. Having fun with the kids around Christmas isn’t hard. The trick is getting them focused on a fun task in order to make the most of your time together around the holidays. Briana K is an experienced childcare minder who writes articles and blog posts about pregnancy, childcare activities, arts and crafts and preschool child minding. She regularly writes for creches and preschools including Giraffe Childcare.